Relax and enjoy this picturesque scenery with your loved one. 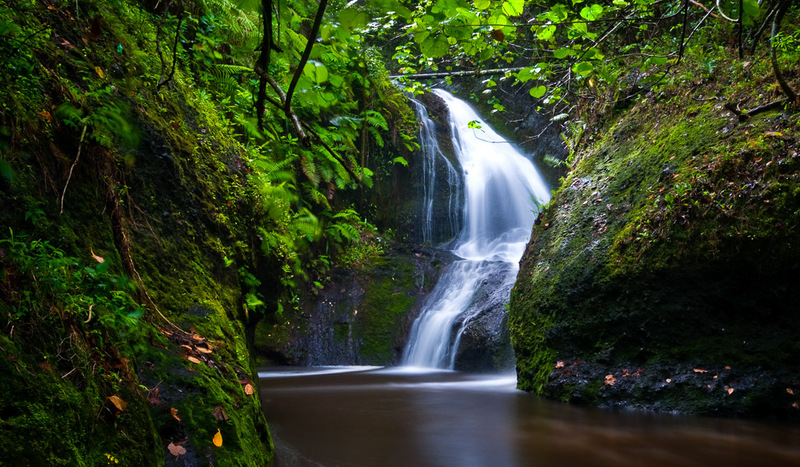 Waterfalls all around - the Cook Islands has more to offer than white beaches and crystal clear waters. 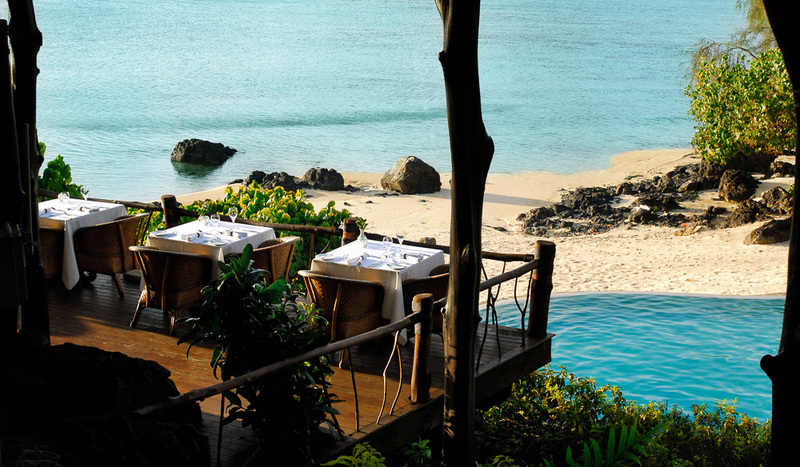 Romance, adrenaline, culinary surprises or a little of each – choose your own adventure in paradise. The Cook Islands inhabit over 15,000 people across 15 gorgeous islands, which are spread across an area of the Pacific Ocean equal in size of India. You’ll find endless blue lagoons perfect for snorkelling and swimming and the white sand beaches to escape to are in abundance. The Cook Islands are so compact in size you won’t have any trouble navigating your way around – it takes just 45 minutes to drive around the largest island, Rarotonga. 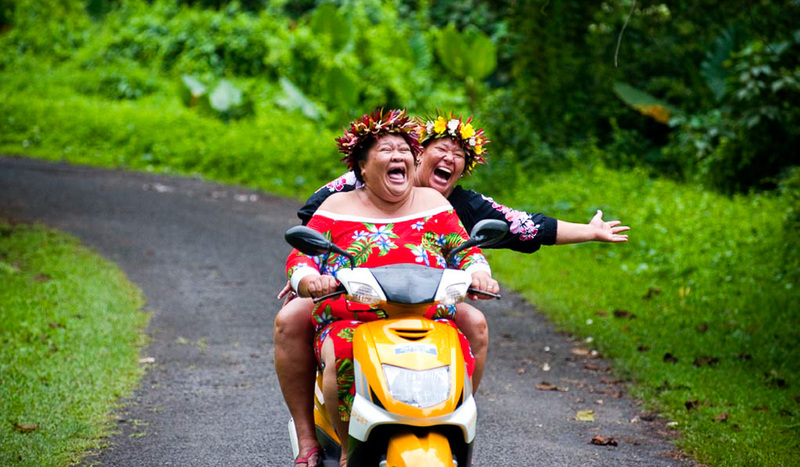 There is no shortage of things for visitors to enjoy in the Cook Islands. Sleep in a hut on an uninhabited island in Aitutaki’s world-famous lagoon or venture over to one of the four uninhabited motus (islet) in Rarotonga’s Muri Lagoon for the day. Enjoy a spectacular Rarotonga sunset with a freshly made cocktail at any of the countless beach bars in Arorangi, or set sail on a sunset cruise aboard a yacht around Rarotonga. 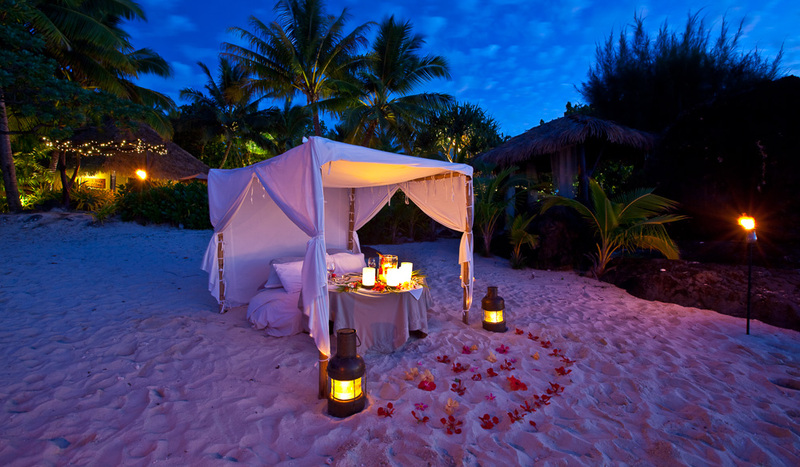 If you like to be spoiled, try a specialised treatment on Rarotonga and Aitutaki at some of the most awarded day spas in the South Pacific, then eat a fresh seafood dinner with your feet in the sand at one of Rarotonga’s most iconic restaurants, Vaima Restaurant & Bar. 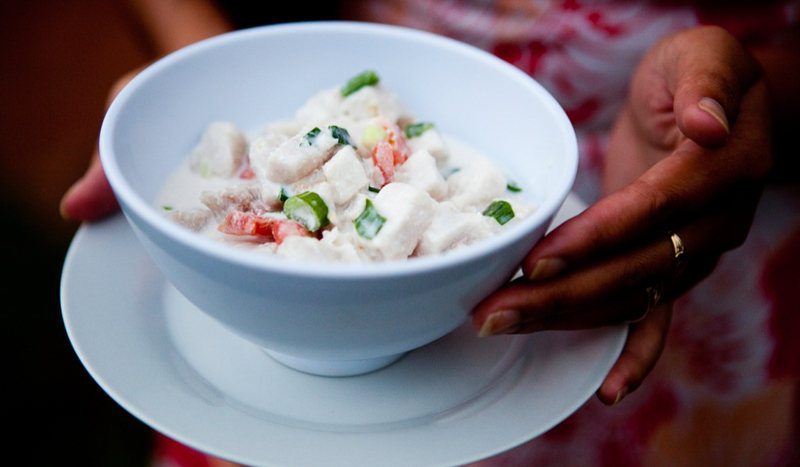 Cook Islands cuisine is regarded as perhaps the best in the South Pacific. Known for their endless supply of fresh fish such as Mahi Mahi and Tuna and locally grown fruit and vegetables, it’s easy to find deliciously locally made meals. A regional favourite on the Cooks is Ika Mata: marinated raw tuna in lime and coconut juice, accompanied with taro (locally grown root vegetable). The locals still prepare meals the traditional way, in an earth oven or ‘umu’ which gives the meat and vegetable the most exquisite smoky flavour. Pile your hand-woven basket high and Bon Appetite! There is more adrenaline, which awaits throughout the islands. Take a caving adventure through labyrinthine chambers in Atiu, go fly fishing for the elusive bonefish in Aitutaki’s famous lagoon, or surf the wild waves across the shallow reefs of Rarotonga for some of the best tube rides in the Pacific (experienced surfers only). Join local tour guide Pa for a cross island hike right across Rarotonga, finishing with a refreshing swim under Wigmores waterfall, or you could even join the kite surfing revolution that is ‘Manureva’ taking place annually on Honeymoon Island (Aitutaki) between August and September. Air New Zealand fly from Sydney and from all major cities, via Auckland, and Virgin Australia also provide flights via Auckland.